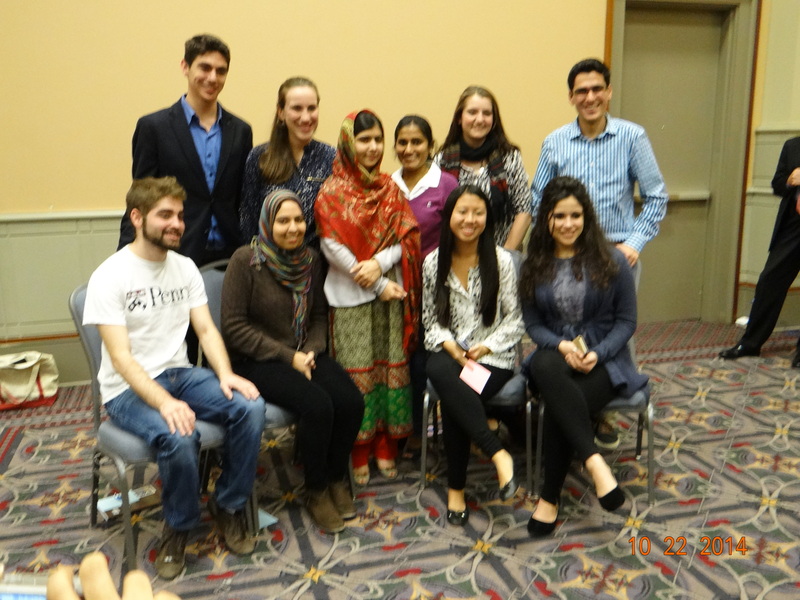 It was about less than a year ago that I read the book “I am Malala” and it was indeed special to meet Malala! 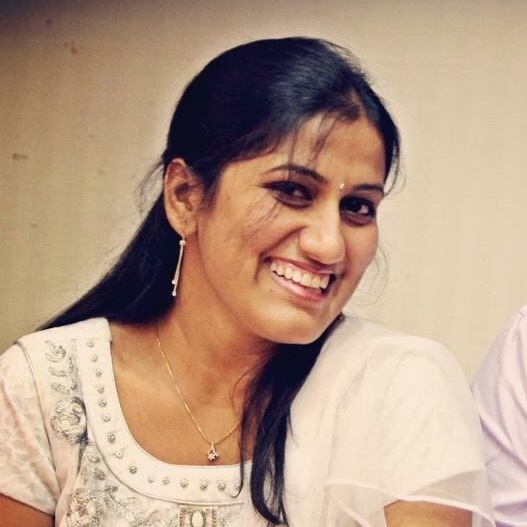 Her story was one of the most heart touching and inspiring stories I read in the recent past, a story I would wish to tell my daughter. 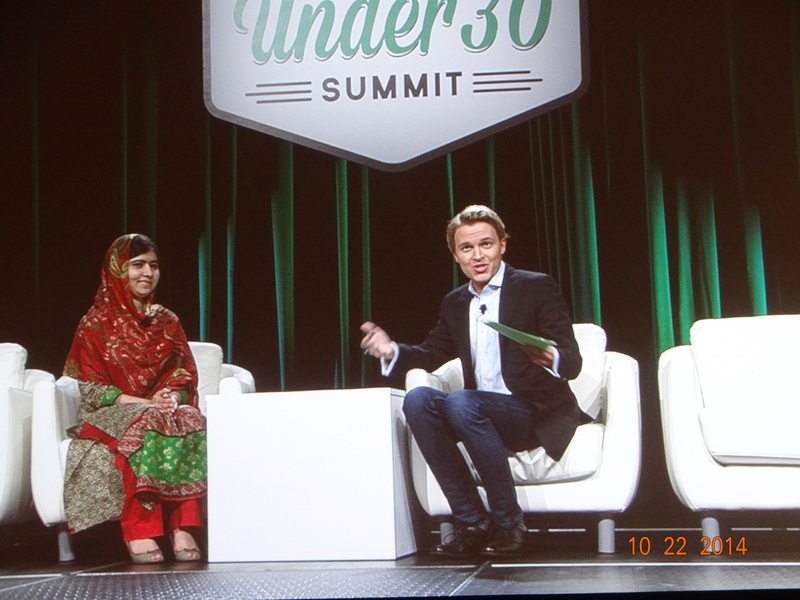 It was a very sudden and random opportunity I got to meet MALALA, the brave young lady and also the Nobel Peace Prize winner this year at the Forbes Under 30 Summit. It’s not always that we get to meet global icons and penning down the experience (big or small) makes me feel good! People at the Forbes event presented their ideas and their innovations to change the world they live in and matter to them (technology, environment, medicine etc). All the innovative ideas had their inception in their real life experiences. So does this teenager! Hence, she was an apt choice to be the guest at this event for she is truly an achiever especially coming from the most odd social and political background with her only motive to study! While her father seems to be her backbone, her mother seems to be her motivation. She said, ” her (mother) struggle to get more education gives me more strength and courage”. She said she was in the chemistry class when her teacher said that she won the Nobel Prize! (Now that could be a historic moment of her life). Her life in her words seems to be normal when she said that she could not finish her homework the weekend she won the Nobel Prize. Apparently when her teacher asked her for her homework she said, “Mam, I won the prize, I was busy” and the teacher said, “So what?” She said she was enjoying the matured life she has outside, the normal life (fighting with her brothers) at home and a student in school for she has chosen to be so and no one forced this on her. It was interesting when the journalist asked her about her reactions on she being called a feminist. She quite dint agree to it but there was laughter when she said, “I met some amazing girls, as well as some boys who are also a bit amazing”. 🙂 She expressed her views (bold ones) on interpretation of Islamic laws by groups, which believed that it is against the law to go to school. ( I learnt from her that apparently there are 72 groups in Islam). She also shared the views she expressed to President Obama on sending weapons, drone attacks and supporting democracy in Pakistan but was hesitant to share his responses to her questions. I believe this passionate teenager who aspires to be the Prime Minister surely has a spark in her. 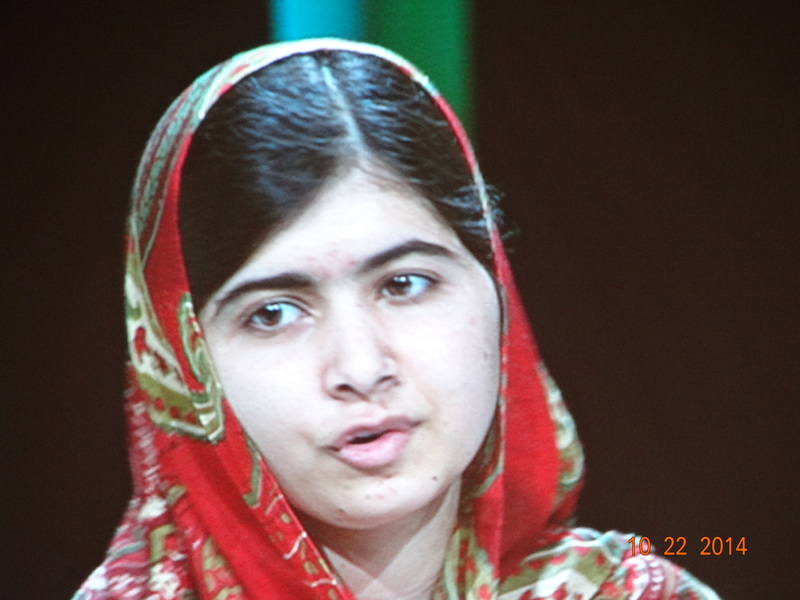 She said she is looking forward to go back to Pakistan and visit her school and home region! I wish her all the choicest wishes in everything she does in school and in the world at large! As much as I respect this brave young lady, I do stand on my opinion on conferring the Nobel Prize to her may not be a right decision, probably at this point of time. She surely deserves the highest civilian award for bravery, conviction etc. I am sure that she has the will, passion, support and whatever it takes to do work towards the education of girls, but I believe this award is to honour people for almost lifetime of work in their field. It is not a signal of support but a signal of accomplishment. I was just watching this interview last night, and you were actually there! That is beyond cool! It means that somehow, i heard your applause and cheers haha! She is quite an inspiration at such a young age. I hate to use these words, but she is probably one of the “special” ones.